Visiting new hotels is one of the best new year’s resolutions for the foodies and visiting the hotels in Sharjah is the best to visit once in a lifetime! Situated in the Persian Gulf, Sharjah is one of the lovely and the neighbor Emirate of most popular Emirate city Dubai- the city of gold. Also famous as the cultural capital of the UAE, people drop in this lovely city to know about the traditions. The most popular attraction of this city are the lakes and breathtaking hotels. Though in Sharjah, there are not many of the hotels as there are in Dubai, but the hotels in Sharjah are quite cheaper in prices and they are just value for money to a lot of extent. 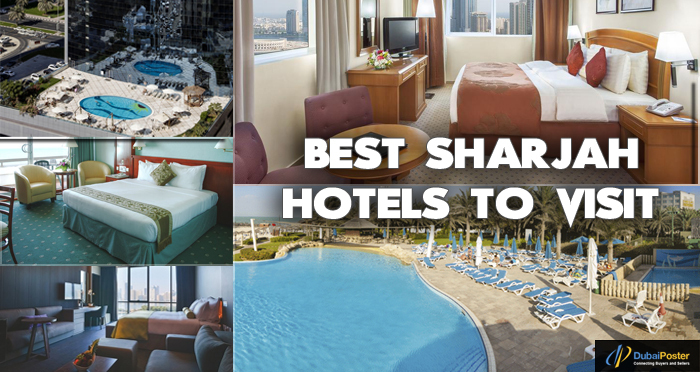 Here is the list of smashing hotels in Sharjah, which will leave you gobsmacked for sure and these hotels are worth visiting once in a lifetime. This is the lovely family-friendly beach resort which is nestled in Sharjah, the beautiful Emirate city in the UAE. This hotel is located just a few steps away from the sea. From the main international airport of the city, this hotel is located at the distance of 15 minutes and tourists have to wait for very little time for walking through the doors of this awe-inspiring luxury accommodation choice. The striking design of this hotel grabs the eyeballs of the visitors at this place. The best in class amenities are being provided by this hotel. You will have the whole of your time when you visit this incredible hotel once in your lifetime. Even the top 5 tourist attractions of Ajman, UAE are worth the visit. Yet another lavish hotel in Sharjah is the Sharjah Grand hotel which has around 220 jaw-dropping and modernized rooms. This is the most beautiful beach resort which is situated on the Arabian Gulf. The main attraction of this hotel is that this hotel staff makes the guests feel over the moon who come to stay here. The guests also love to enjoy the beach view from this lovely hotel. ➔Sharjah Grand Hotel, Al Meena Street, Al Khaledia Suburb, Emirate of Sharjah, United Arab Emirates. Contact- +971-65285557. This Golden Tulip Hotel which is located at the Al Majaz Waterfront and it grabs the eyeballs of the visitor. Situated in the heart of the Sharjah city, it is just 20-minute distance from the airport and just the walking distance from the lavish and must-visit places in the city. This hotel is world-famous for its mind-boggling views, the interiors of the hotel will just make you jump out of your skin for sure. ➔ Golden Tulip, Al Fardan Center, Buheira Corniche, Corniche Street, Emirate of Sharjah, United Arab Emirates, +971-65197777. 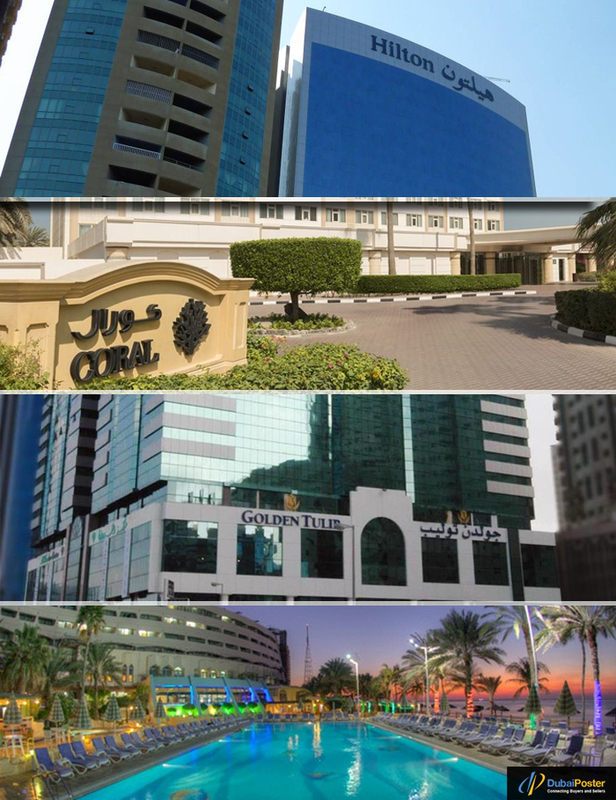 Many people live in Sharjah and they can opt for visiting these hotels by their vehicles. But then, not all can buy the lavish and luxe cars. You will find used cars for sale in UAE-car classifieds and these will provide you the best range and best brands of used cars which will help you to visit these hotels if you live in Sharjah. Nestled at the crossroads of culture and the corporate, 72 hotels as the name suggests, has the lavish and awe-inspiring 72 classy designed contemporary rooms. The best part is that these luxe and elegant rooms of the 72 Hotel will take your breath for sure. The class facilities include the beautiful spa, restaurant facility, coffee shop, gyms and much more which looks just ravishing to the core. Once in a lifetime are must visit! Which you would love to eat!! ➔ 72 Hotel, Corniche 110 Street, Sharjah, United Arab Emirates, +971-65079797. The neighboring city of Dubai also has wonderful tourist attractions like top-rated parks & resorts in Dubai which will leave you amazed with joy. Hilton Sharjah, Corniche Road, Al Majaz 3, Emirate of Sharjah, United Arab Emirates, +971-65192222. People around the globe also desire to get the best residential house in the UAE as it is the lovely tourist spot in the world. They can find the best property for sale in Dubai on the leading classified app of UAE and buy as per their need, choices and preferences. So, the above listed hotels are must-visit once in a lifetime if you are a globetrotter. These incredible and breathtaking hotels have the class facilities for the visitors and tourists also. People of UAE keep searching about which are the best classified apps of UAE to find the used cameras which helps them to capture memories of the beautiful places they visit in life. Those who can’t afford to buy the brand new costly cameras can opt to buy the cameras from the classified app of UAE itself. If you are looking forward to buy the property in UAE, then there are common mistakes which real estate investors make and these should be avoided while purchasing the property in UAE.